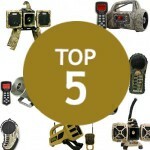 FoxPro, founded in 1995, is one of the premier electronic predator call manufacturers. While they are known for their predator calls, FoxPro offers a few other products to supplement a coyote hunter's needs. While not necessary for success, decoys can be purchased and used to give predators visual stimulation in addition to auditory. 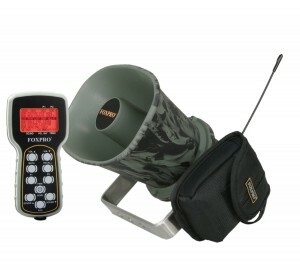 While all FoxPro electronic calls come with built-in speakers, in some situations, more volume is necessary. 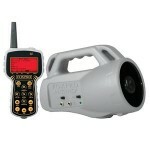 In these situations, FoxPro offers larger and louder external speakers. They also manufacture hand calls for those coyote hunters looking to perfect their technique. 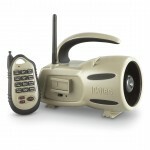 For the budget conscious hunter, FoxPro offers a wide variety of electronic calls for all budget levels. 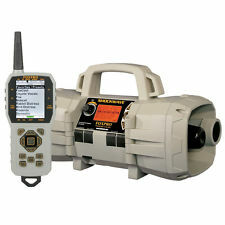 Priced in the low $100 range, the FOXPRO Deadbone is FoxPro's entry level electronic call. It comes with a pre-programmed remote with 15 different sounds, perfect for luring in predators. This isn't the BEST caller on the market, but it has all of the high quality that I come to expect with the FOXPRO brand, at a friendly price. With its single, high-powered horn speaker, this unit can deliver enough sound for almost any hunt. Its calls are crystal clear at maximum volume. The ability to play two sounds simultaneously is a big benefit, too. The remote provides 20 steps of adjustable volume, and requires on a 9v battery. The caller itself requires 4 AA batteries. ABS is FOXPRO's standard plastic composite material, and I can say from experience that it's so high quality it feels almost army-grade. ABS is an injection-moulded plastic housing that is waterproof and highly effective at protecting your calling equipment. It's also very lightweight. 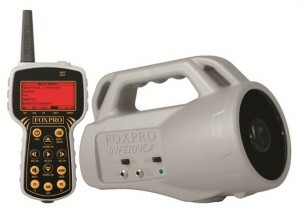 Next comes the FOXPRO Inferno, which is in the $100-$200 range. The Inferno comes preloaded with 50 great animal sounds and a full graphic remote control. The speakers at max volume are plenty loud, but you can add more sound using the external speaker jack. Also included is the auxiliary jack, perfect for attaching decoys to your Inferno. In the $200-$300 range, the FOXPRO Hellfire is a large step up in cost, but for many, the price increase is undeniably worth it. 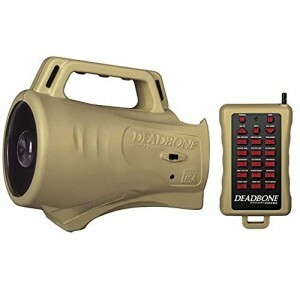 The Hellfire can store up to 200 different animal sounds, with 75 already preloaded on the electronic call. The battery life is a bit short, and at max volume, the speakers do not perform perfectly. Fortunately, the external speaker jack allows the hunter to hook up more speakers to the Hellfire, remedying this problem. For the hunter who wants it all, look no further than the FOXPRO Shockwave. Priced around $500, this electronic call comes with nearly everything but the kitchen sink. The Shockwave can store and play up to 200 sounds, with 100 already preloaded. The memory holds up to 1,000 sounds that can easily be reprogrammed using a USB 2.0 port. 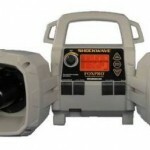 The Shockwave has a four speaker system and a remote that functions up to 100 yards. Finally, the Shockwave has temperature and barometer readings.